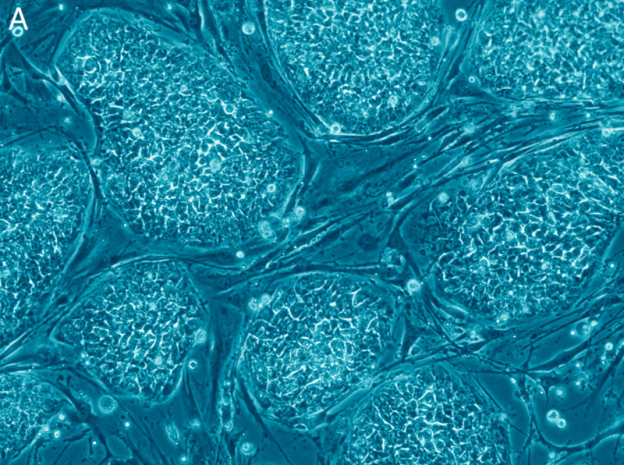 In the decades-long controversy over stem cell research, misinformation abounds. 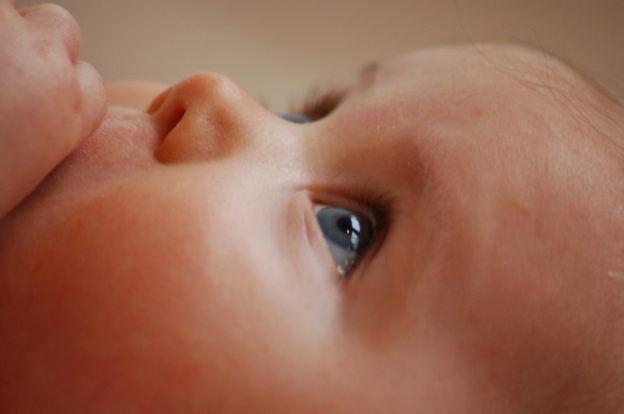 From a medical perspective, the debate is settled: research that destroys human embryos has not produced a single validated treatment for any disease, much less delivered on sweeping promises of miraculous cures. Adult stem cells, harvested ethically from sources like bone marrow and umbilical cord blood, as well as induced pluripotent stem cells created by the reengineering of body cells, are already saving lives and revolutionizing medicine. CLI has extensively documented the validated, peer-reviewed science on adult stem cells, making the case that policy leaders have a responsibility to put the patient first and fund therapies with a proven record of success. Charlotte Lozier Institute | December 12, 2018. David Prentice, Ph.D. | September 15, 2018. Charlotte Lozier Institute | February 15, 2018. Charlotte Lozier Institute | February 5, 2018. Charlotte Lozier Institute | November 21, 2017. Adult stem cell transplants are already widely used to the benefit of over a million people. Well over 1 million patients worldwide have been treated with adult stem cells and experienced improved health, based on data gathered by December 2012. David Prentice, Ph.D. | October 24, 2017. Eugene C. Tarne | September 7, 2017. Ever since human embryonic stem cells (hESCs) were first successfully grown in the lab in 1998, Parkinson’s Disease has featured prominently as one of the major diseases that such cells would supposedly eliminate. Charlotte Lozier Institute | June 27, 2017. 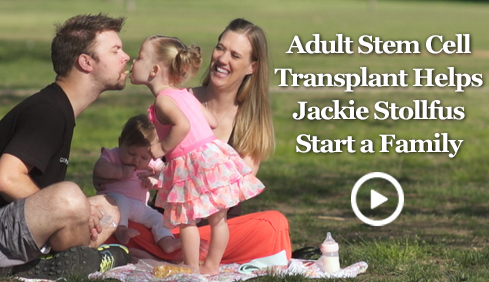 Today the Charlotte Lozier Institute releases its seventh Stem Cell Research Facts video which returns to the life of lupus survivor Jackie Stollfus and how her adult stem cell transplant opened up new vistas many previously thought impossible. Eugene C. Tarne | June 21, 2017. In 2013, the California Institute for Regenerative Medicine (CIRM) – the nation’s largest funder of stem cell research outside of the federal government – authorized a new program, the Alpha Stem Cell Clinics Network. The Network’s goal, according to CIRM, “is to accelerate the development and delivery of stem cell treatments to patients.” To achieve this, CIRM approved $70 million “to create a new statewide network of sites that will act as a hub for stem cell clinical trials.” CIRM envisioned a network of “up to five clinic sites at established academic institutions.” To date, three Alpha Stem Cell Clinics have been created, housed at City of Hope, University of California San Diego, and UCLA/UC Irvine. Paul Wagle, M.A. | March 13, 2017. Paul Wagle, M.A., is the Director of Life Science Development for the lead economic agency in the state of Kansas. Mr. Wagle was diagnosed with leukemia at the age of 10, and after a four-year battle including an adult stem cell transplant, he has been cured for over 10 years. Sheila Page, D.O. | February 27, 2017. Charlotte Lozier Institute | February 16, 2017. On Wednesday, February 15, 2017, the Texas Committee of Health and Human Services held a hearing regarding Texas Senate Bill 8 (SB 8). 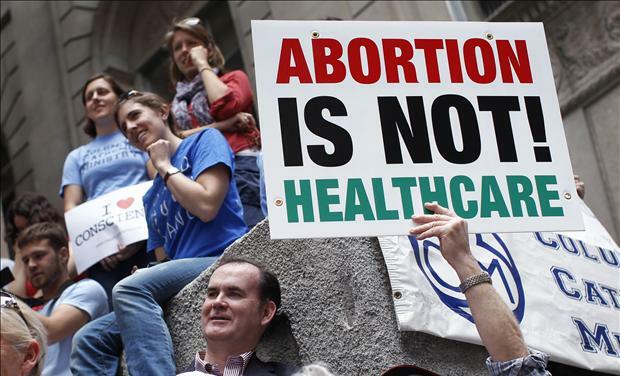 SB 8 prohibits partial-birth abortions, prohibits donation of human fetal tissue except by certain authorized facilities to accredited universities, and prohibits the purchase or sale of human fetal tissue. Charlotte Lozier Institute Associate Scholar Tara Sander Lee, Ph.D., submitted the following written testimony in support of SB 8. Charlotte Lozier Institute | February 15, 2017. Today the Charlotte Lozier Institute releases its sixth in its series of Stem Cell Research Facts videos. This story features the work of Dr. Joseph McGuirk, an adult stem cell expert at the University of Kansas Hospital, and tells the story of Chance Runnion’s recovery from leukemia after an adult stem cell transplant. Maureen Condic, Ph.D. | February 13, 2017. 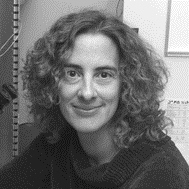 Maureen Condic, Ph.D., is an Associate Professor of Neurobiology and Anatomy at the University of Utah. She has been a member of the Pontifical Academy for Life, a distinguished group of physicians, scientists, and theologians from the international community whose mission it is to study questions and issues regarding the promotion and defense of human life from an interdisciplinary perspective, since 2014. In this interview, she discusses the beginning of human life and the moral status of the human being. Charlotte Lozier Institute | November 15, 2016. 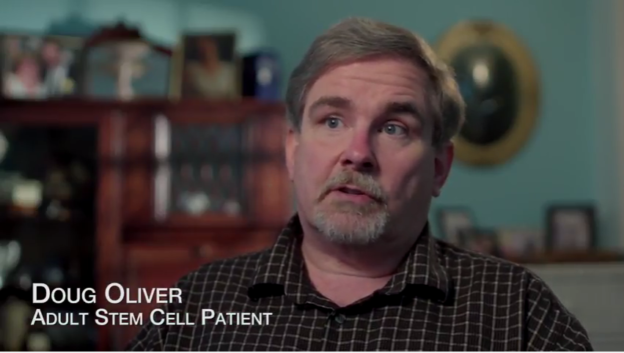 Today the Charlotte Lozier Institute releases its fifth Stem Cell Research Facts video; this story features Doug Oliver’s recovery from macular degeneration after an adult stem cell transplant. Eugene C. Tarne | October 25, 2016. In 2014, Minnesota became the most recent of a handful of states that provide state funding for all types of stem cell research, including human embryonic stem cell research. The law provides for 10 years of funding with $4.5 million approved for the first year and $4.35 million each year thereafter. Eugene C. Tarne | October 10, 2016. 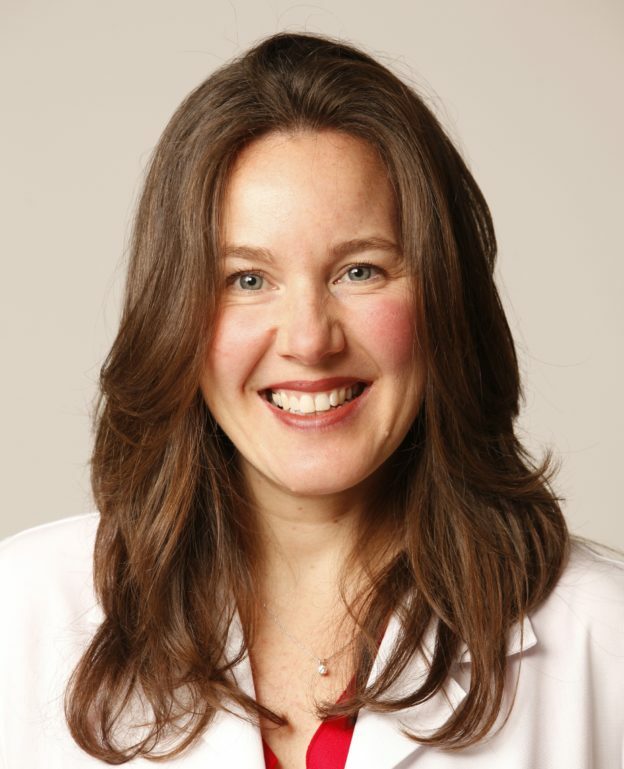 The Maryland Stem Cell Research Fund (MSCRF) has awarded two rounds of grants since the Charlotte Lozier Institute last analyzed the Fund’s pattern of grant making for stem cell research, in the fall of 2013. 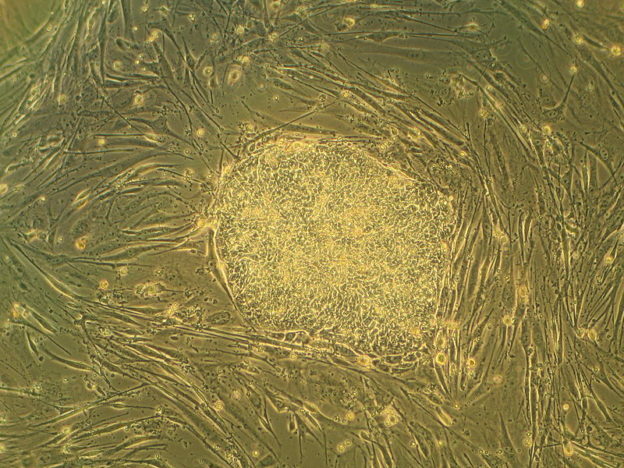 That study found that since MSCRF first began awarding grants in 2007, its pattern of giving shifted over the years from strongly favoring projects focusing on ethically contentious human embryonic stem cell research (hESCR) to projects focusing on ethically non-contentious adult stem cells and other non-embryonic stem cell research. Tim Bradley | September 12, 2016. The Brocher Foundation, spread throughout eight buildings laying on three acres of land in Geneva, Switzerland, is dedicated to providing a meeting venue for “scientists and experts in the ethical, legal and social implications of the development of medical research and biotechnologies” to gather and collaborate on bioethical issues. Eugene C. Tarne | April 18, 2016. Beginning in the 1990’s, and throughout the first years of the 21st century, perhaps no other political or social cause célèbre attracted as many celebrities as human embryonic stem cell research (hESCR). David Prentice, Ph.D. | March 18, 2016. On Wednesday, March 16, 2016, the Arizona House Judiciary Committee panel held a hearing to consider SB 1474, introduced by Sen. Nancy Barto (R-Phoenix) to prohibit fetal tissue trafficking. After the hearing, the panel voted to pass the bill, which will now head to the full House. 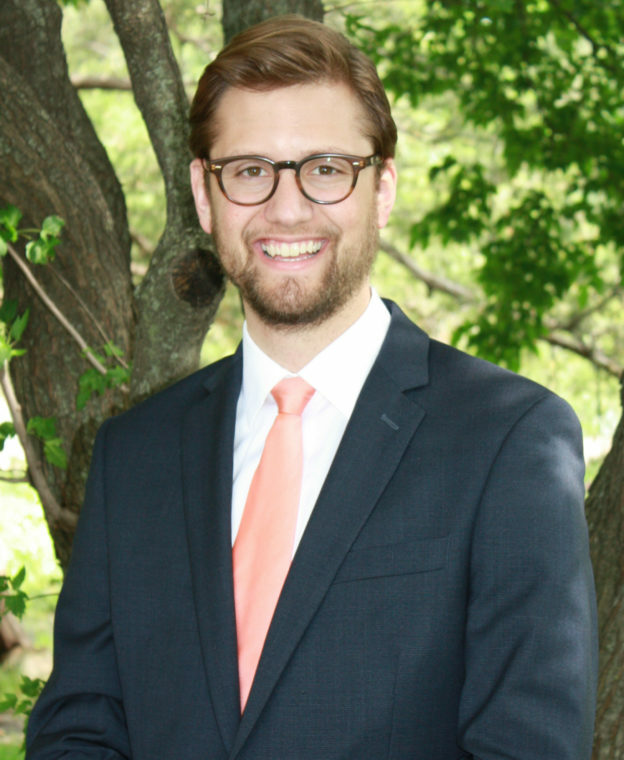 Charlotte Lozier Institute Vice President and Director of Research, Dr. David Prentice, Ph.D. submitted the following written testimony in support of the legislation. Eugene C. Tarne | March 1, 2016. The California Institute for Regenerative Medicine (CIRM) ended 2015 by adopting a new Strategic Plan, calling it a “bold new vision for the future” designed to streamline, over the next five years, the process of bringing stem cell research to clinical trial. David Prentice, Ph.D. | February 8, 2016. 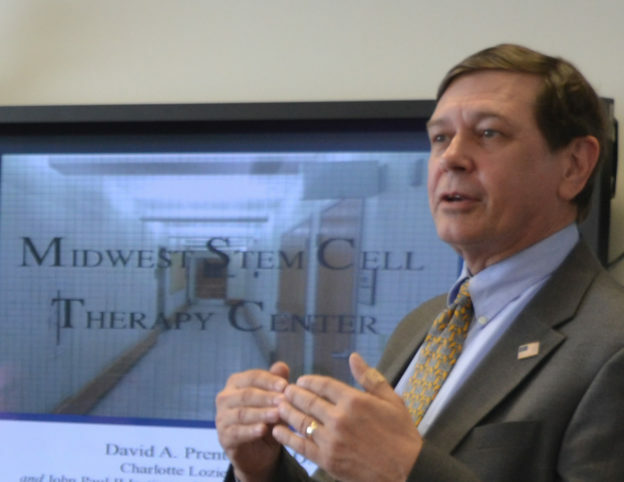 In this testimony before multiple Kansas state Senate and House committees, Dr. David Prentice briefs legislators on the progress of the Midwest Stem Cell Therapy Center. The Kansas stem cell center is focused on patients, with an emphasis on therapy, dissemination of information, and comprehensive view to fulfilling its mission. 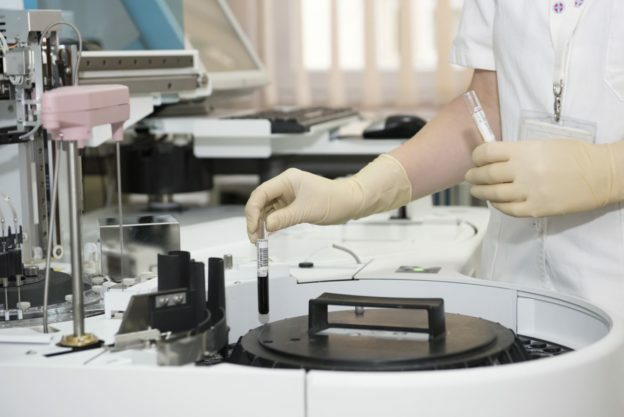 The MSCTC only works with non-controversial stem cell sources—adult stem cells and induced pluripotent stem (iPS) cells; embryonic and fetal sources are not used, in keeping the focus on the patient and deliverable therapies. Charlotte Lozier Institute | January 20, 2016. Today the Charlotte Lozier Institute released its newest Stem Cell Research Facts video telling the story of 10-year-old Devon Weaver of Arizona. For many years, Devon’s parents and doctors were mystified as to why he struggled with everyday activities such as sitting up by himself and feeding himself, and why at four years old his bone density was that of a two-year-old. Finally, when Devon was eight, he was diagnosed with Juvenile Myelomonocytic Leukemia (JMML) – a high-risk leukemia with a slim survival rate of 5 to 10 percent in children. Eugene C. Tarne | November 17, 2015. Will induced pluripotent stem cells (iPSCs) finally replace human embryonic stem cells (hESCs) in the field of regenerative medical research? Results of a recent study published in Nature Biotechnology argue that they should. In 2007, Japanese scientist Shinya Yamanaka discovered a method to create fully pluripotent, embryonic-like stem cells from ordinary somatic (body) cells. The ability to do this had been characterized as the “holy grail” of stem cell research and, indeed, Yamanaka’s achievement changed the field of regenerative medicine. So groundbreaking was his discovery that he was awarded the Nobel Prize just five years after announcing it. Eugene C. Tarne | September 23, 2015. The White House recently launched a site on Tumblr to feature letters sent to the president by the American people. The handful of letters posted so far cover a variety of subjects, including the usual suspects such as jobs, wages, healthcare and the economy. But one letter in particular stands out and has garnered attention in the media — including media overseas e.g., here and here. The letter is from 15-year-old Gavin Nore of Iowa. Early in 2013, Gavin was diagnosed with Hodgkin’s lymphoma. Gavin courageously fought back against his diagnosis. Doctors utilized stem cells to treat Gavin and this treatment, combined with Gavin’s bravery, led to victory in his battle against this cancer. David Prentice, Ph.D. | September 3, 2015. The National Catholic Bioethics Quarterly is an invaluable resource not only for insights on ethical issues but news about key developments in medicine and technology. This summer NCBQ added a new author to its array of resources, a regular update on Science written by Charlotte Lozier Institute Vice President and Director of Research, David Prentice, Ph.D.
David Prentice, Ph.D. | August 12, 2015. Charlotte Lozier Institute Vice President and Research Director, Dr. David A. Prentice, Ph.D submitted the following written testimony in support of AB 305. Nora Sullivan, M.P.A | August 10, 2015. Over the past few weeks you have most likely seen – unless you work at the White House – the undercover videos released by David Daleiden and the Center for Medical Progress, which show various Planned Parenthood employees discussing the harvesting and sale of fetal organs and body parts. The negotiations caught on camera suggest that these transactions are not at all unusual for the organization nor are they limited to these few incidences but are, in fact, systemic throughout the organization. This suggests that Planned Parenthood, which performs about 330,000 abortions a year in the United States, has found a way to make abortion even more profitable. Charlotte Lozier Institute | July 27, 2015. This fact sheet provides a brief overview of the history of fetal tissue research and transplants. Eugene C. Tarne | June 8, 2015. A recent blog posted on the science/technology website Gizmodo conducts an interesting thought experiment. The author goes back 10 years to the December, 2005, issue of Scientific American. In that issue was the “Scientific American 50” – a list of the 50 leading scientific trends for that year. Charlotte Lozier Institute | May 26, 2015. Today, the Charlotte Lozier Institute (CLI) presents its first-ever video celebrating one account of a life-saving ethical adult stem cell treatment. The short video recounts the poignant story of Paul Wagle, a young man from Kansas who was diagnosed with cancer at age 10 and endured chemotherapy for two-and-a-half years only to then relapse. He was offered adult stem cell treatment, and the rest is history. In this testimony before multiple Kansas state Senate and House committees, Dr. David Prentice briefs legislators on the progress of the Midwest Stem Cell Therapy Center. There are currently about 53 centers nationwide conducting ethical adult stem cell research for therapies to treat a wide range of diseases and conditions. 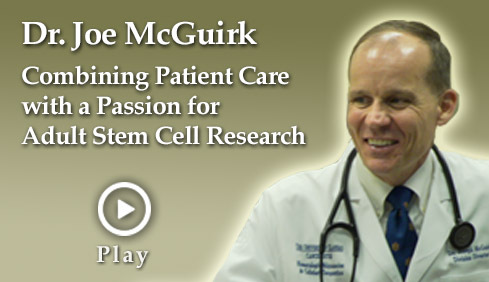 The Midwest Stem Cell Therapy Center at the University of Kansas is unique, comprehensive, and focused on patients first.